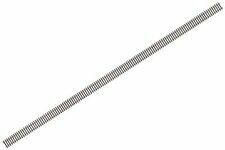 00 gauge Peco flexible steel track. Tracksetta OOT24. Track Laying Tool 24" Radius. 609.6mm. OO Gauge. Peco SL-11. 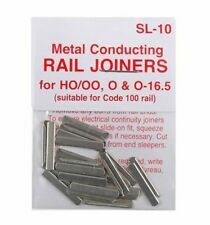 Rail Joiners Code 100 & Code 124 Rail. Nylon Insulating. 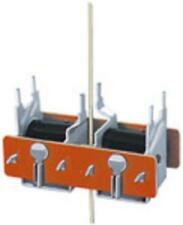 This is a set of4 pairs of power rail joiners. 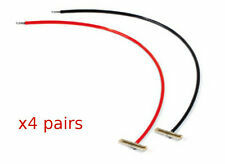 They are like standard joiners however they havewires already soldered to them. 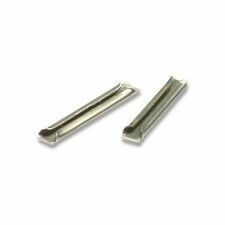 This allows you to simply drill a small hole on your baseboard to bring power to any part of your layout that needs it. NOTE THE ITEM IS PLAIN RED AND DOES NOT HAVE THE WRITING PICKED OUT IN WHITE - THIS IS DONE SO IT WILL PHOTOGRAPH. Add to Favourites. The Peco SL-41 00/H0 Buffer Stop Sleeper Built Type is a realistically simulated woodgrain moulding with a ballast textured surface on top. Recessed to accomodate couplings. PECO SL-41. BOXED: No. Get In Touch. Get Social. PECO STREAMLINE POINTS. NICKEL SILVER, CODE 100. 3 X SL-92 AND 2 X SL-91. 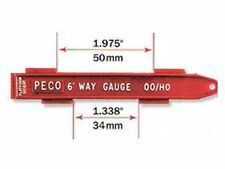 PECO PL-41 - MODEL RAIL CLEANING RUBBER. SL-37 Peco Re-Railer 00/H0. Used model railways & collections always wanted. Add to your Favourites. How it started; I have been interested in model trains since I was a child. It was more fun and much cheaper, now I can fix most locos so they run like new. Get In Touch. Important Information. WORKING ORDER: N/A. Peco LK-56 Loco Inspection Pit for Code 100. Scale / Type: OO Scale. Inspection kit (Code 100). 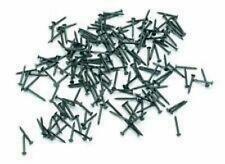 This kit contains enouth parts to build one pit 297mm long or two smaller units. The contents includes six pit units two pairs of stairs and four walkway plates. 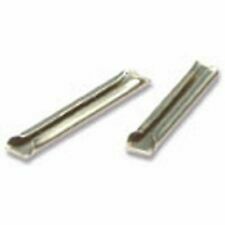 1 X HORNBY RH POINTS R8073. HORNBY, AND PECO POINTS. 3 PECO LH POINTS, ST-241 CODE 100. 2 PECO RH POINTS, ST-240 CODE 100. THIS IS JUST ONE EXAMPLE. VERY GOOD CONDITION. Peco OO Points x 6 ST-240 R/H Excellent condition. All excellent condition and working order with good strong springs & fishplates. Have had very little use, new/near new condition. Peco OO Points x 6 ST-241 L/H Excellent condition. Any queries get in touch with our small family team. 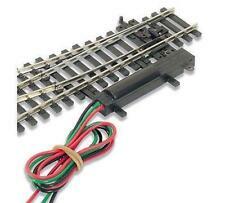 Peco SL-E191 Small Radius Right Hand Point Electrofrog code 75 rail OO Gauge. Condition is Used. Dispatched with Royal Mail 1st Class Large Letter.